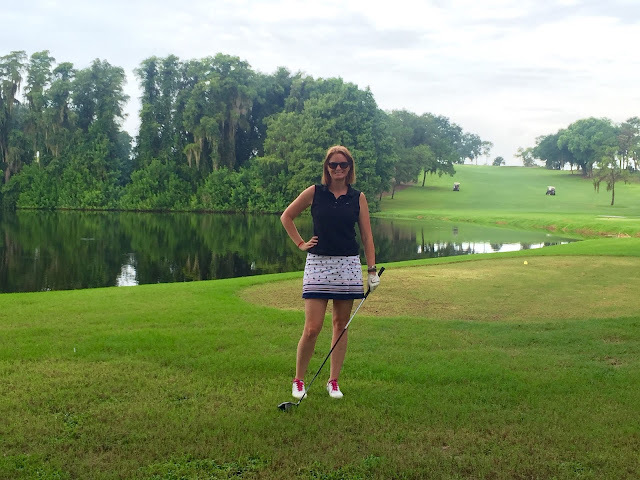 A few weeks back, my husband and I spent a weekend away at Innisbrook Golf Resort and Spa. I wrote about the resort overview, Spa Indaba and an amazing dinner at Packard's Steakhouse. Today I am going to talk about their golf courses and lunch at the Turnberry Pub. On a very rainy Saturday, Gabe and I went out to play 9 holes on Innisbrooks Island Course. 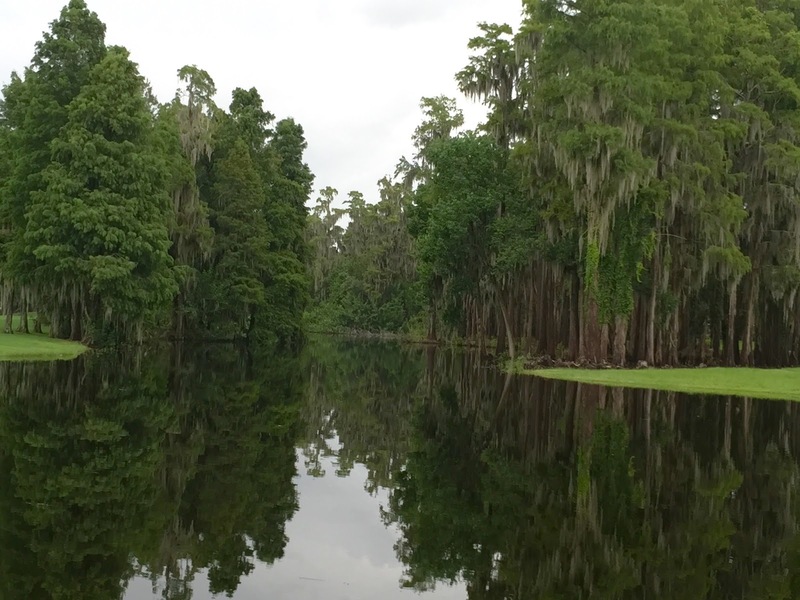 This Par 72 course has tight fairways and water hazards. I can happily say I did not lose a ball. My husband on the other hand is a whole different story. The Island course was absolutely beautiful and has played host to numerous U.S. Open qualifiers and NCAA Championships. It was also the site of LPGA ISPS Honda Legends Tour Open Championship. We fell in love with many houses on the Island Course. The Island’s first six holes are bordered by Lake Innisbrook with lateral water hazards. The first thing I noticed about this course was the elevation - something you do not get too often in FL. The middle six holes showed this with rolling hills. The final third of this course boasts a mixture of challenges. 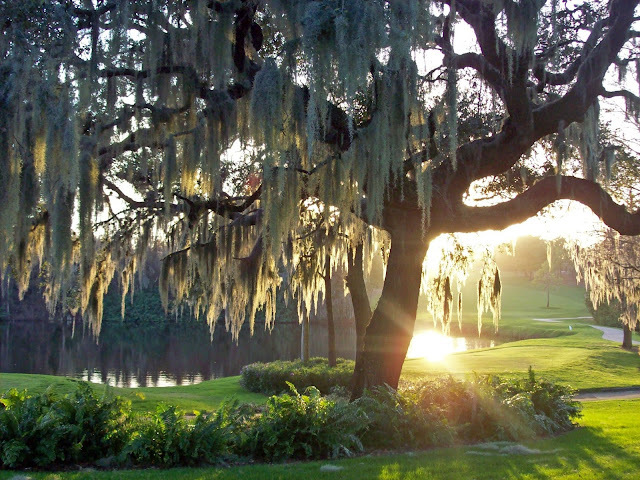 It was no wonder to me that this is one of the most photographed golf courses in Florida. After a day of Golf, we met up with Gabe's parents and decided to eat at the Turnberry Pub, located in the clubhouse of the Island Course. It was here that we had some of the best fish and chips in FL. A crispy and flaky beer battered cod was served with cole slaw and perfect chips. Turnberry Pub is only open for breakfast and lunch but their menu is drool worthy. I have a thing for pub cuisine and I had a very hard time deciding on what to order. Luckily for me, my Mother in Law agreed to splitting the Fish and Chips with me if I ordered the beer battered Chicken and Waffles. OK! Chicken and Waffles is one of my favorite dishes and this one came with Whiskey maple reduction and cinnamon butter. SWOON. Gabe ordered the classic cheddar burger which had caramelized onions. It came perfectly cooked and delicious. My father in law got the Sheppard's pie which consisted of ground beef, onions, carrots, corn and peas, topped with mashed potatoes. I am a Sheppard's Pie snob and can gladly say this one did not disappoint. Once again, I will say I was very impressed with the menu at Turnberry Pub but this did not come as a surprise as I've never had a bad meal at Innisbrook. The following day, Gabe and his father played the North Course at Innisbrook while I had a spa day with my Mother in Law. This Par 70 course is similar in terrain to the famous Copperhead Course and remains one of the most challenging courses at Innisbrook. Gabe brought up the fact that Innisbrook had club cleaners on their golf carts and wishes more golf courses had this feature. 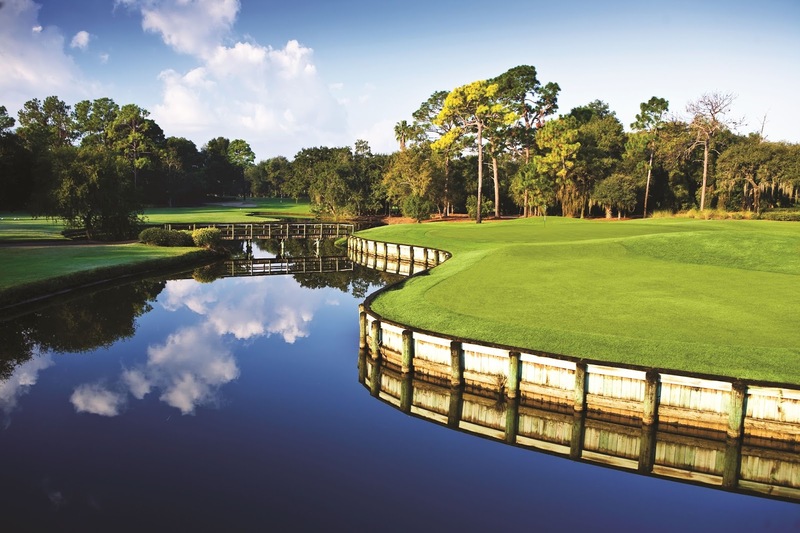 The Copperhead Course, named in Golfweek's Best Courses you can play in Florida and home to PGA's Valspar Open was closed for refurbishments and will be reopening later in the year. Click here to check out Innisbrook's current resort packages, including the "Your way Golf & Spa package"! 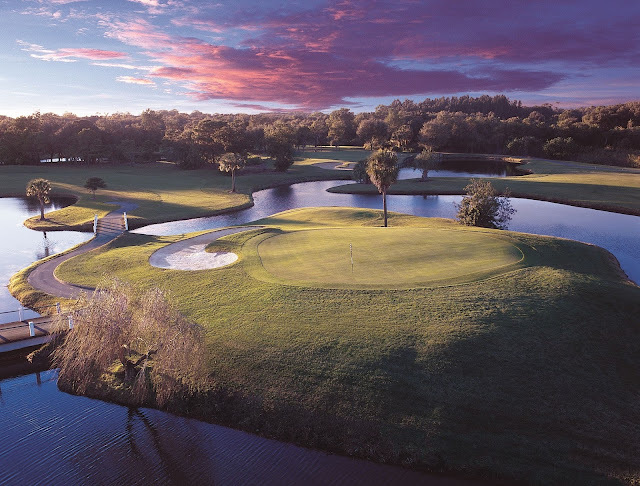 Disclaimer: Innisbrook comped our two days of golf in exchange for this review. We paid for our own lunch at Turnberry Pub and was not expected to write a review. As always all opinions are my own.